Join Deja Vu for Two artists Todd Olson and Nicole Bresnick, artist Lon Michels, MFA, Proud Theater, and Conceal & Carry: Queers Exposed for a night of art and performance especially for GLBTQ teens. Come early to the Overture Rotunda Stage between 5:30 and 6 PM for refreshments and gift bags. The program itself starts at 6 and ends at 8:30. 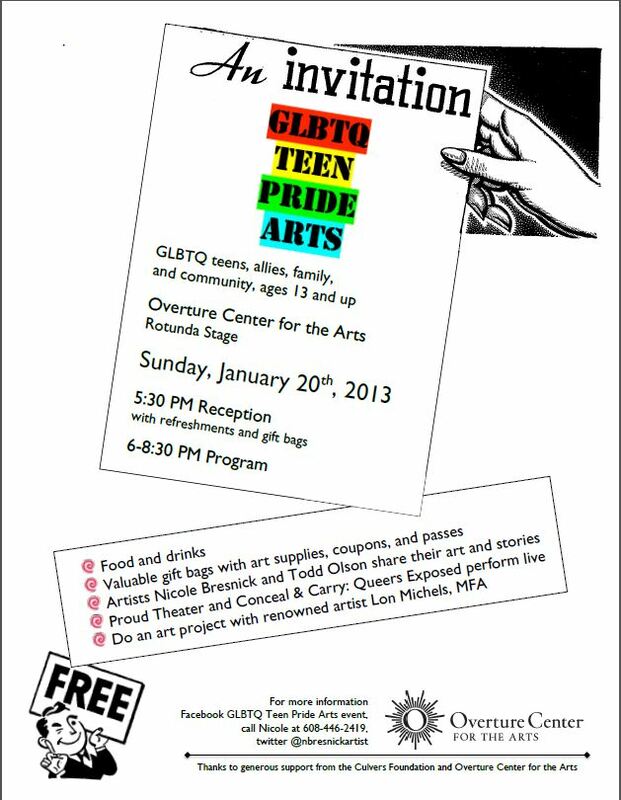 WHEN: Sunday, January 20th, 2013, 5:30 PM reception, 6-8:30 PM program.